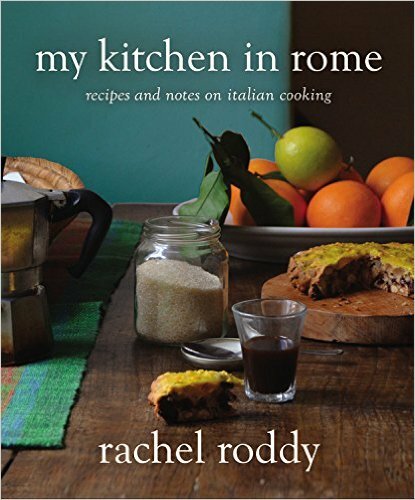 rachel eats | stories, pictures and cooking tales from an english woman living in rome. After leaping a year, we are delighted to announce there will be two Language of Food workshops at the Anna Tasca Lanza Cooking school in Sicily this year. Both workshops will be punctuated with excursions (most notably to a shepherd and cheese maker), walks and cooking lessons and will allow you to spend time in the best classroom there is: the fields and vineyards of Sicily. The best classroom not only because the valley in which the school sits is so magnificent and atmospheric, but because you are so close to the source of so much, golden fields of wheat, orchards of every imaginable citrus, vines dotted with the first signs of budding grapes, ancient olive trees with their twisted trunks and mad windswept branches that look like Einstein’s hair, prickly pears with prickles that fly at you, six-foot wild fennel plants with gangly stems and tops that seem like inverted lacy umbrellas, the disconcerting tangle that is a lentil and chickpea plants. I could go on. Close to the source, and also stories: thousands of years of history and tradition seem on a sort of parallel plane in Sicily, as if you can touch it all, eat it all, which of course you mostly can. We will of course be eating and drinking well. I have linked to the schedules, which are of course flexible according to how both weeks evolve. You might also like to read past posts Luisa and I have written about previous workshops, here and here, and another about my first visit to the school, which itself has a brand new website. If you would like to see pictures of past workshops, we have a flock of them on instagram (none of them quite living up to how bloody wonderful and alive the place is – it is not just a school but a vast working farm/estate – or how productive and fun the weeks were). There is also writing from the second workshop I can link you to, a collection put together thoughtfully by participants Debra and Darryl and testament to what can be created when you put a pen to paper, or finger to keyboard, with food as a starting point. I will be writing more about the course of over the coming weeks. Before then please feel free to get in touch here or by e mail (rachelaliceroddy@googlemail.com) if you have any questions about the course. We know it is a big commitment but both promise to be extraordinary weeks. If you can, come. Were it not for Testaccio market or Monte Testaccio, the extraordinary ancient Rubbish dump that rises somnolently the bottom corner of this most Roman of Roman quarters, I am pretty sure I would never have started writing a blog at all, never mind a book, or a column. So it seems absolutely fitting that nearly 13 years after arriving in Testaccio, my first proper tour, alongside my friend and inimitable tour guide Agnes Crawford, is of the market and dump. The plan is as follows, Agnes and I shall be leading you through the Testaccio market, visiting some of my favourite stalls and learning some technical tricks on taming puntarelle: every Roman’s favourite winter salad. We shall discuss the area’s social and culinary history, and nibble on fried goodies with a glass of something fizzy before a wander through the former (cleaned up!) abattoir. Dietary restrictions can of course be accommodated, please mention details when booking. At this point you might like to go off and read Agnes’s post about Monte Testaccio. Once you have done so, come back here for a recipe and – if you wish – to book the tour. The mere mention of puntarelle has me shooting off on a sentimental tangent that involves my friend Alice, a trattoria in an irritatingly pretty piazza, a paper tablecloth, Pyrex glasses, a litre of hair-curling wine, a grumpy waitress, braised rabbit and a bowl of pale-green curls of gently bitter salad leaves with anchovy dressing. I’d heard about an idiosyncratic salad from a Roman friend in London long before I moved here, of a Catalonian chicory with dandelion-like leaves called puntarelle, which, once trimmed, cut and immersed in cold water, curled in much the same way as Shirley Temple’s hair. The pale green curls are dressed with a pungent and loudly delicious dressing of anchovies, garlic, olive oil and lemon or vinegar. I ate it with Alice during the first spring I was in Rome, and neither the wine nor the waitress could spoil our delight in the puntarelle salad that we, in the proprietorial manner of new arrivals in Rome, had so happily ‘discovered’. Twelve years later, less proprietorial and pretty comfortable about still being in Rome, I prepare puntarelle a lot during its winter- spring season. I say prepare, but curl, pulse and assemble is a better description. Some people say that the dressing should be made with a pestle and mortar, but I make mine with my stick blender – not just for speed, but because I like the more consistent, thicker dressing that a few pulses creates. I also prefer lemon juice to vinegar, as it gives the dressing a citrus-sharp but less aggressive edge. Puntarelle is becoming more widely available, but in its absence you can use frisée. To prepare the puntarelle: holding the whole head, pull away the dark green external leaves. Separate the individual tube-like stalks and pull off any dark green leaves. Cut away the tough lower part of each stalk, then cut the tubes in half lengthways and then each half into strips about 3 mm wide. Rinse the strips under cold water, then immerse them in a bowl of iced water for 30 minutes, or until they curl. Once curled, drain and dry thoroughly. To prepare the frisée: discard the tough outer leaves (or use them for soup), then wash and carefully dry the paler inner leaves. Tear the leaves into bite-size pieces. Peel the garlic, then cut it in half and remove the green shoot, if there is one. Pound the garlic in a pestle and mortar, then add the anchovy fillets and grind to a rough paste. Stir in the lemon juice or vinegar and then the olive oil. If you’re using a stick blender or small food processor, blend all the ingredients until they form a textured dressing. If not, just blend the ingredients in the pestle and mortar. Tip the leaves into a bowl or serving dish, pour over the dressing, toss to coat evenly and serve immediately. One of the good things about writing recipes here is that I can sign in at any time and change something. The virtual equivalent of being given the chance to pop back home and get something forgotten. Or add something, a line such as ‘I add a whole tbsp of black peppercorns to the beef , but you might like to start with half. Print is of course another thing entirely, it is there print (ed), fixed on a page which may have been ripped out and made, and might mean a very peppery supper. Or no supper. To anyone else that made the pepeso and found it to be too peposo – I am sorry, it is the most disappointing thing to hear a recipe didn’t work. It is a traditional recipe and not called pepeso- peppery for nothing, but clearly you do need high pepper tolerance. For anyone still to try the beef, wine and pepper stew, and I hope you do as it is delcious, start with half a tablespoon of black peppercorns, crushed, and taste, then only add the rest if you think it needs it. The week after was pasta and potatoes with cheese, a soulful bowlful, proving yet again Neapolitans know something about comfort. Keep cooking, and keep letting me know if things go well, or not so well! I really care. Now some practical things. I am happy to say that Market to Table, a collaboration between myself, the cook and teacher (also my teacher) Carla Tomasi, and cook, food stylist, writer and owner of the Latteria studio Alice Adams, is going to be a monthly occurrence. The idea is simple, we meet at Testaccio market at 9 30, shop for meat, fish, cheese and whatever vegetables are in season. We then walk across the river to the Latteria Studio, where along with more fresh vegetables and herbs from Carla’s garden we prepare a four course lunch, which we enjoy together with natural wines from our friend Antonio’s shop. Exactly what we cook will change from month to month depending on what’s in season. but there will almost always be something fried, sheep’s milk ricotta, fresh pasta, more often than not artichokes. We enjoyed our first four Market to Table’s immensely, they were joyful, creative occasions, so we are looking forward to this years. Market to table is usually the third Friday of each month, there are 7 spaces for each session, the cost is 100 euros pp, and you can book here. I am going to be teaching two days of Roman Cooking at Mark Diacono’s Otter Farm in April and then again in July. I am excited at the thought of spending time in Devon, just 30 minutes from my parents, with Mark, whose writing and work at Otter farm I admire very much. We will be cooking with produce from Mark’s extraordinary garden and the area. The plan is 6 dishes that celebrate Roman food in all its simple beauty, but also the connections with English food that exist. Depending on season and the group, we might make chickpea soup with fresh pasta, twice-cooked greens with olive oil, garlic and peperoncino, sweet and sour onions, a wild green salad, roasted pork with herbs, and panna cotta with blackcurrant sauce. For us it will be a feast. All the dishes stand alone though and are for the most part versatile – templates really – which can be adapted according to what you have and the time of year. More information here. Last but not least, the dinner, or dinners with Giovanni Brighi at Il Cudega in East London. On the 16th and 17th of February I will be helping to cook a Roman feast, all profits from which will go to the charity Heads Together a coalition of mental health and suicide prevention charities with decades of experience in tackling stigma, raising awareness, and providing vital help for people with mental health challenges.. I have personal reasons to feel strongly, so strongly about the work Heads Together does, and I am proud to be involved. Please come. You can book here. Did you read all the way to the end? You deserve a drink ! Please forgive a years worth of events and things in one post, which is all a bit exhausting. I do hope, though, that some of you will consider one of the above. I look forward to meeting you. Book – no not yet, bloody hell, but nearly, nearly. I will finish here, and start the New Year, with 6 lines! No, not that sort, but Seamus Heaney. I know you have a dozen other things to do, but if you don’t have any in the cupboard, remember to buy a bag of white beans today. Then later – not yet – sit down with a cup of tea, or glass of sherry and read this. Next week, on one of the in-between days that thread Christmas to New year, put the beans in a bowl and cover them with water. The day after cook them, or rather let the oven cook them. But before you put the sage in the pan, don’t forget to rub it and wave it before your nose. It is a bit late in the day to link you to my Christmas recipes, which are rather like our decorations, so from three places, some old, some new, a few precious, others sparkling, strung together differently each year! I am a cautious enthusiast when it comes to Christmas, I plan, but due to my almost pathological inability to be truly organised, there is always plenty of room for improvisation! It will all be fine. ‘Lookout for winking lights and the smell of clementines, listen for the music drifting from a radio behind the shop counter, keep expectations flexible, laugh, give more than you take, sing and dance at least once – even if it makes you cry, do something for someone without expecting anything back, don’t worry about having enough food – you have too much, read a poem, make a jelly, take yourself off for a walk’. I used to pour scorn on this sort of Christmas advice! These days I try and take it. Also, if you fold and squeeze, hard, a piece of clementine peel right next to a candle flame, the essential oils sparkle and crackle like tiny fireworks, and the scent is even stronger. On the subject of citrus, we have chosen a cover, a picture of oranges and lemons I took last winter. Not the one above I hasten to add – who the hell would put a sink on a cookbook cover! I am looking over first edits now, and gathering pictures, mine and Nick’s, of Rome and Sicily, two places and two kitchens, while still writing! But I am nearly finished and excited at the thought of sharing my second book ‘Two Kitchens‘ with you in July next year. Meanwhile Five Quarters won both the André Simon food book award 2016 and the Guild of food writers First book award 2016. Best of all it has made its way into many kitchens, and dare I say it, beds. In bed with Five Quarters – I like that. Many of you have let me know how much you have enjoyed reading and cooking – thank you. I am sorry not to be writing here more often, I miss it. I will. Meanwhile my Guardian Column is weekly, and I know many of you read that. Next week’s recipe is an excellent and simple one for a beef and pepper stew called Peposo. So when you pick up the white beans, why not get 1 kg of braising beef for the freezer too, and clementines, don’t forget to buy lots of clementines, and look out for winking lights. Rome in June. It was hot, the air heavy with the tastes and smells of summer pleasures to come, school finished for Luca and I wrote about pasta with beans. Sicily in July. It was even hotter, scorched really, the sky hard hard blue, the sun at its most powerful. We settled into life there, dried tomatoes on the roof, took Nonna’s ashes to the cemetery, and I wrote about stuffed pie and stuffed tomatoes (not for the first time and probably not the last). Now, Dorset in August. It is sunny, but also rainy – so lush with potential for rainbows. I am drinking lots of tea, talking to pigs up the lane, and I have just written about chicken with peppers. Only not here. I miss it here. Having spent six weeks at our house in Sicily, I didn’t pass go, but came straight to my parents in Dorset to finish this second book. In the bedroom at the top of the house, a great plastic bag of my childhood paintings behind the bed, I am trying to loop it all together, the kitchens in Rome and Gela, and here I suppose, trying to find the words to describe the drive along the coast to Scoglitti and the smell of wild oregano (without sounding a wally). Every now and then I bash my head repeatedly on the table, or I thud down the stairs three at a time to make tea, or to double check that the chicken really does need 50 minutes in the oven, to see if something has risen, or not. Then came the rainbow, and I picked it. I spent half an hour trying to find the most descriptive shade of yellow for chard, googling damn paint charts – buttercup, Tuscan roof tile, Sultan’s trousers, before telling myself to get a grip and call it yellow. Next Tuesday you can read it all about the chard and the chickpeas in The Guardian, it goes on-line at about 12 30. The book will take a bit longer, 40 weeks on Tuesday if all goes well. For now, I am here, with tea, possibly in my dressing gown, typing. I hope you are having a good summer? More soon.